The AP Program has recently redesigned several courses in science, history, and world languages in an effort to stay strongly aligned with college credit policies and to prepare students for future learning and career pursuit. 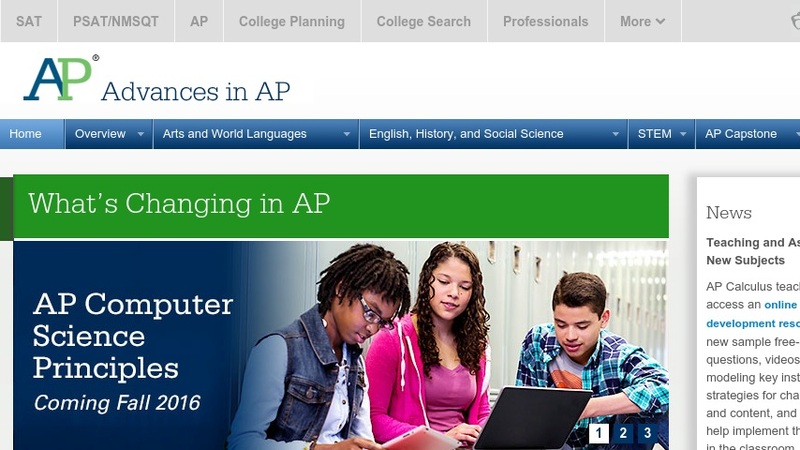 This website focuses on informing AP teachers about what's changing in AP, from course scope to exam preparation. The AP Chemistry revision will take effect in Fall, 2013. The change that will impact physics teachers most directly is the replacement of AP Physics B with two new year-long courses: AP Physics 1 Algebra-Based and AP Physics 2 Algebra-Based (scheduled to be deployed Fall, 2014). The changes to each course were guided by National Research Council and National Science Foundation recommendations, following several years of collaborations among university educators and master AP teachers. Especially noteworthy are the changes that integrate science practice as an essential component of the curriculum, along with statements that pair the essential knowledge (learning goal) to the appropriate science practice and articulate specific performance objectives.